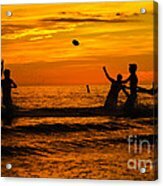 Water football game at sunset! 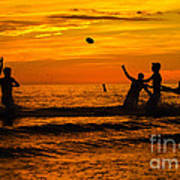 Sunset in January at Ft Meyers Beach in Florida. 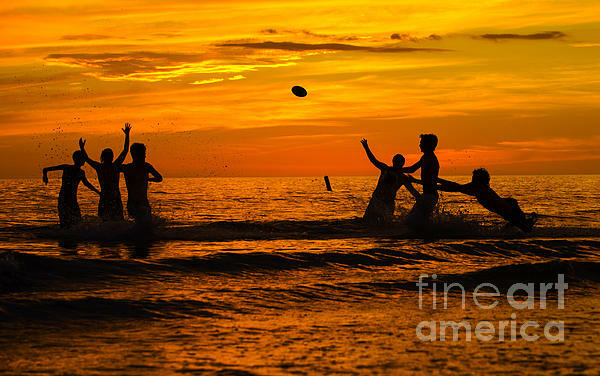 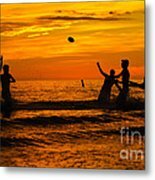 A group of teens playing water football after sunset at Ft Meyers Beach in January.